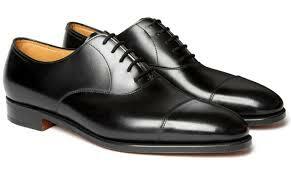 From our classic Whitley range this suit has a gentle herringbone weave which adds a subtle stripe. 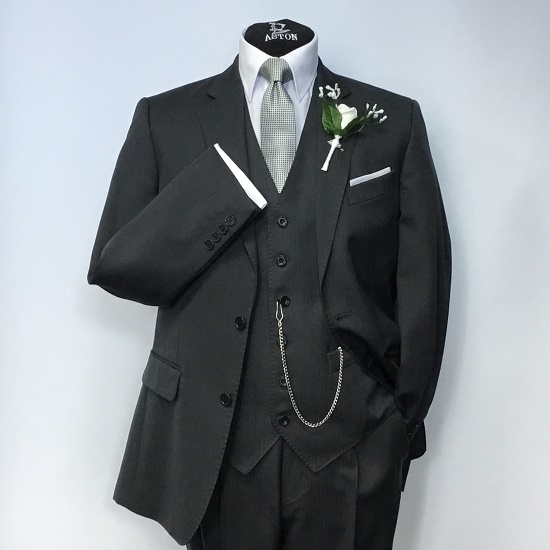 It’s a mid-weight suit so it holds really well in all sizes – and as it’s from our classic range it is available in all sizes, with extra short and extra tall fittings, from children to adult 64″. The tailoring is conventional but fitted and the cloth is 100% Pure New Wool making for a comfortable, easy to wear suit. 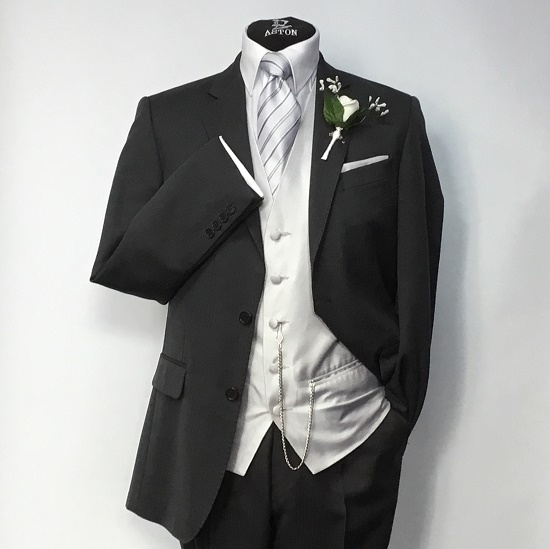 From Magee Clothing, this suit is part of a classic morning wear range and can be paired with Grey morning tails. The three-piece suit, with a tie, shirt, cufflinks and your choice of waistcoat.